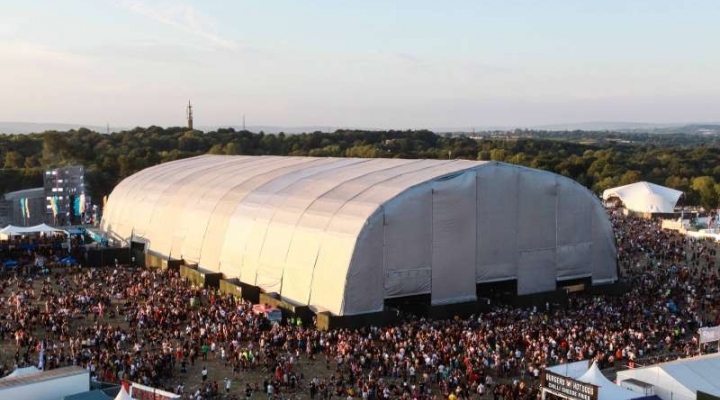 The Hangar Stage at Parklife Festival, 2018, was a Serious Stages Space Building. 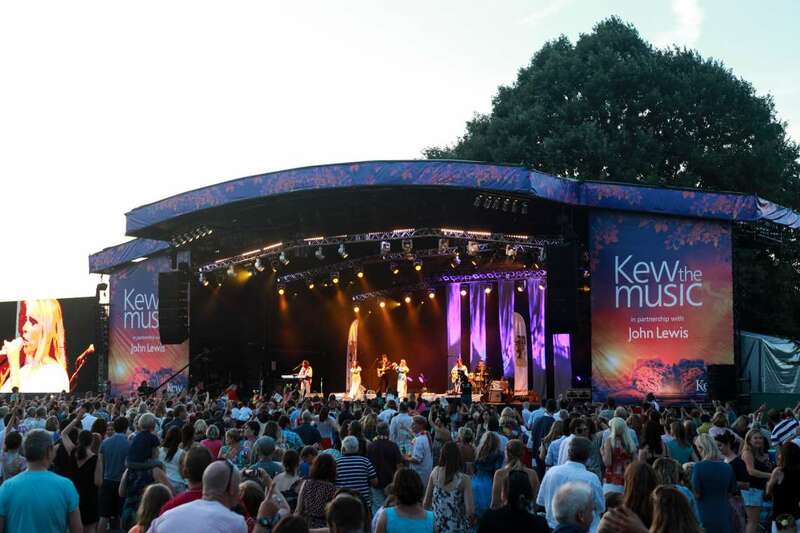 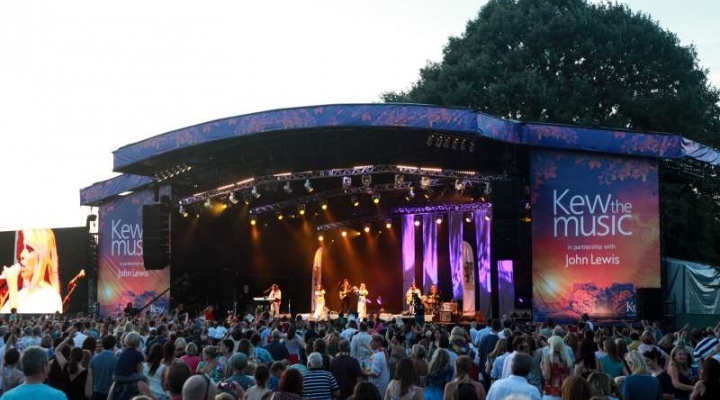 We designed, manufactured and installed a bespoke apex Triton Roof stage for Newmarket Racecourse’s ‘Newmarket Nights’. 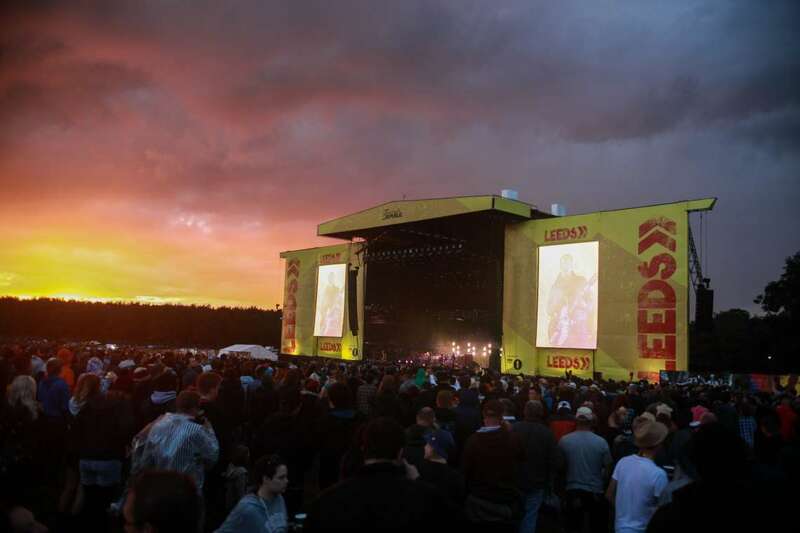 We designed and manufactured Glastonbury Festival’s new look Other Stage, which we installed along with all the main stages across the site. 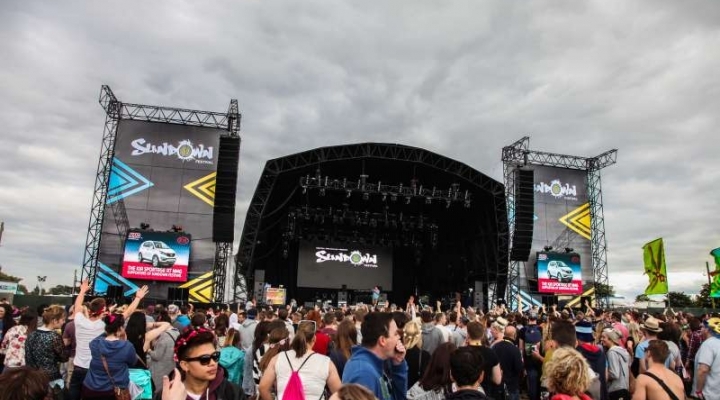 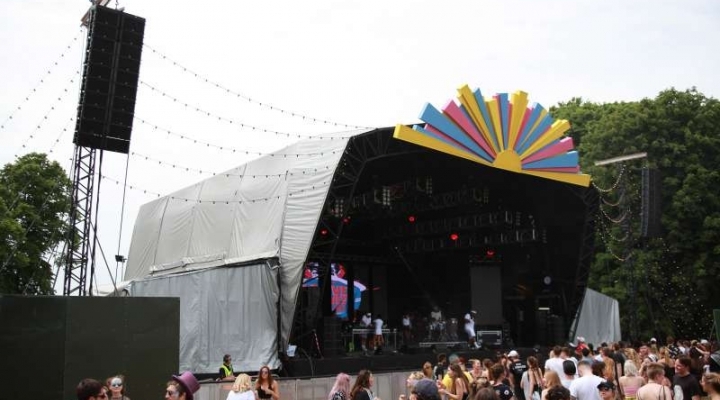 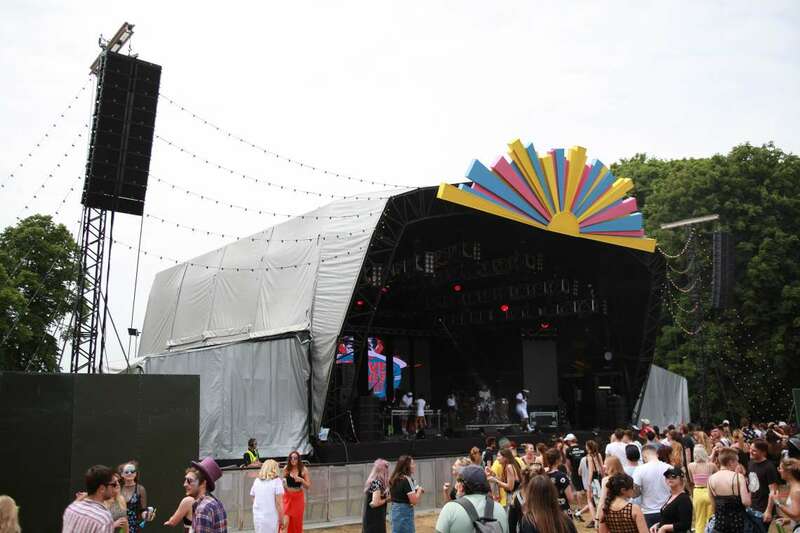 We supplied our 16m Supernova temporary structure as the Main Stage at Love Saves The Day festival in Bristol. 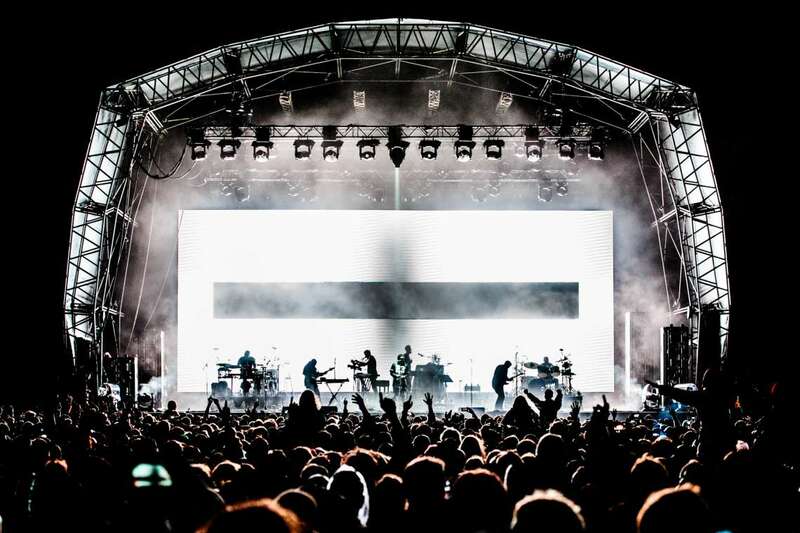 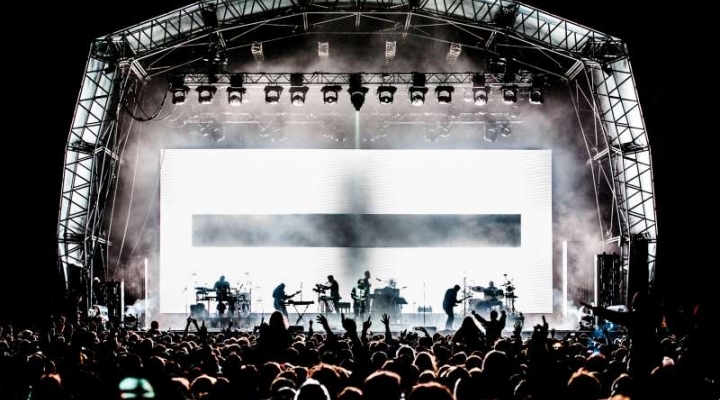 We supplied the stage for Massive Attack at The Downs, as the band returned to their home city for the one day festival. 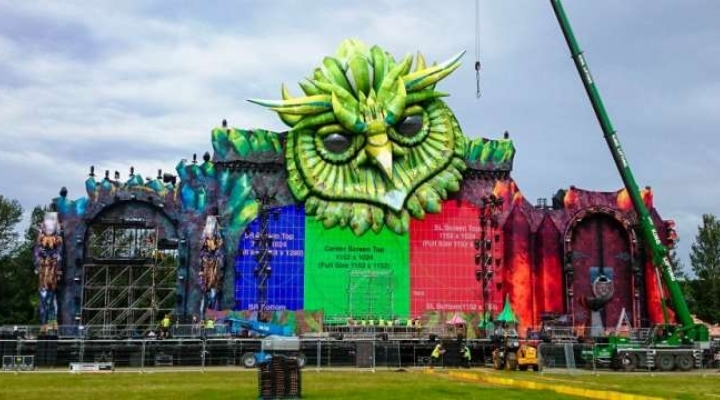 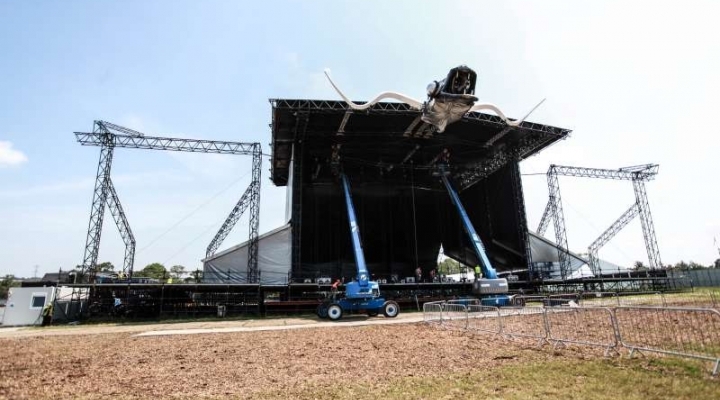 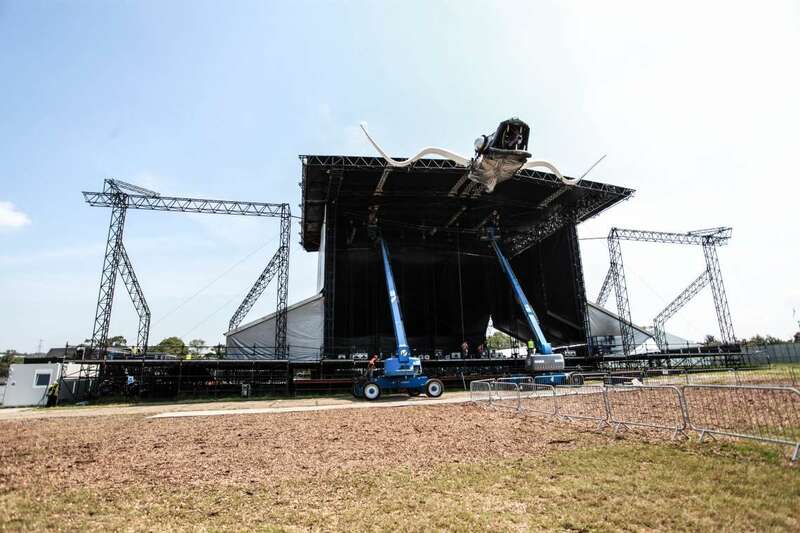 We designed and manufactured a custom built scaffolding system along with bespoke specials to accommodate the impressive 1,200m₂ Crystal Village stage. 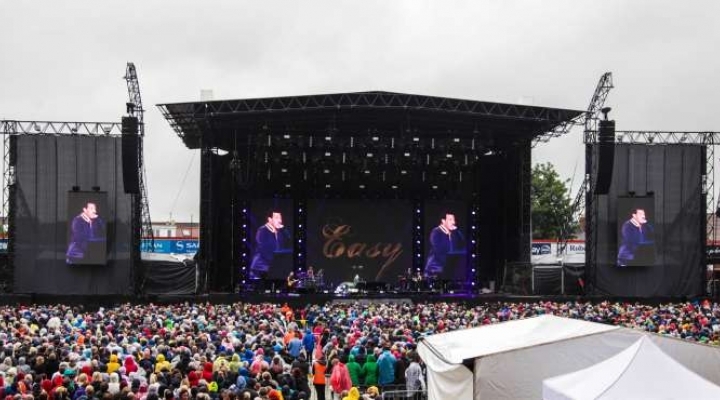 We hit the road with three systems to provide standardised staging for four outdoor tour dates of Lionel Richie’s All The Hits UK tour. 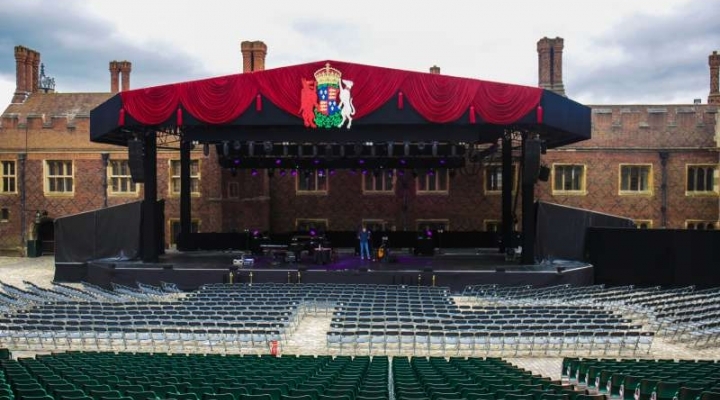 We were called upon to supply the 23rd Hampton Court Palace Festival, followings its recent acquisition by PWR Events. 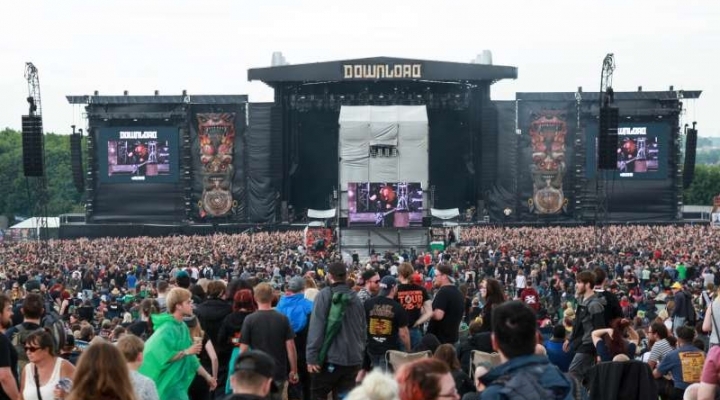 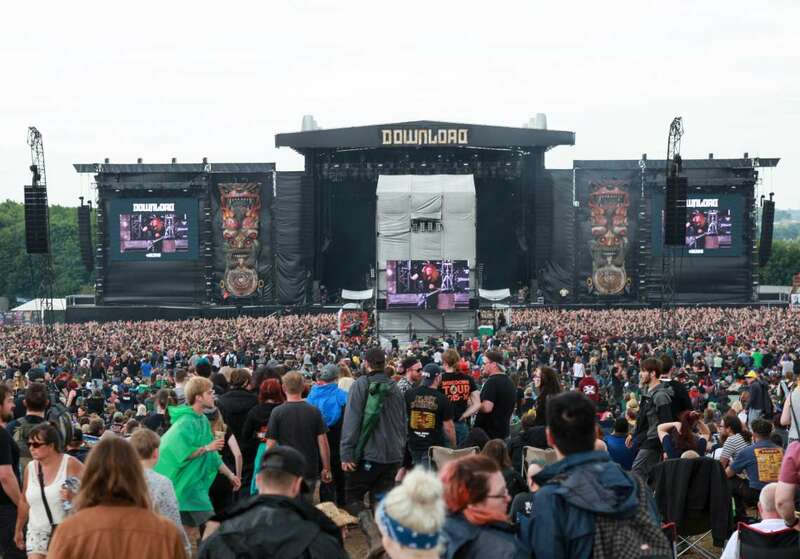 Over 100 bands performed on our stages in front of 80,000 rock fans, as we supplied staging and ancillary structures to Download Festival for the first time. 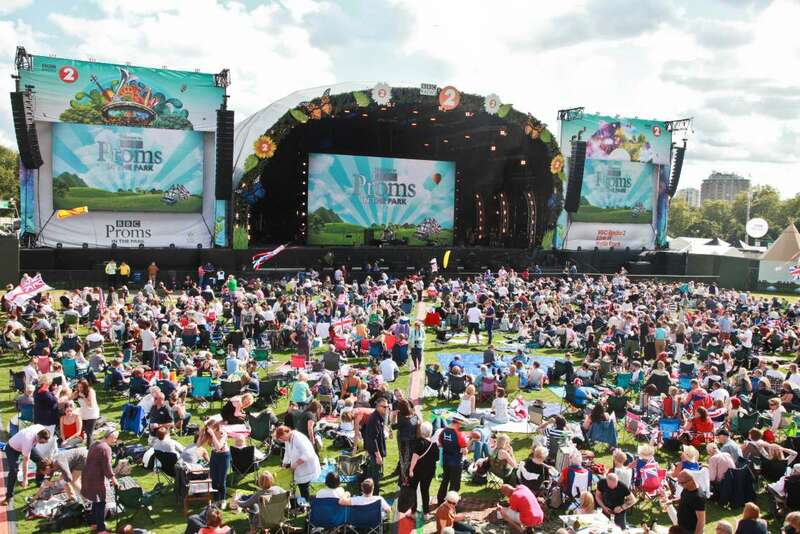 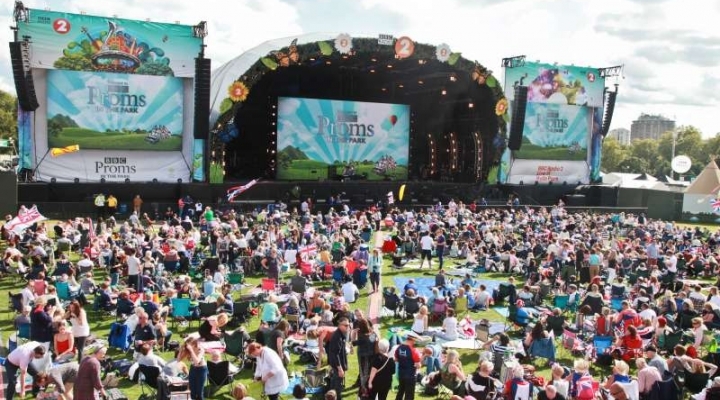 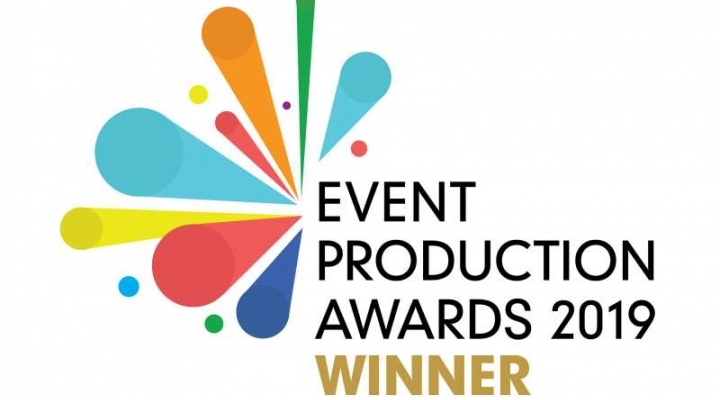 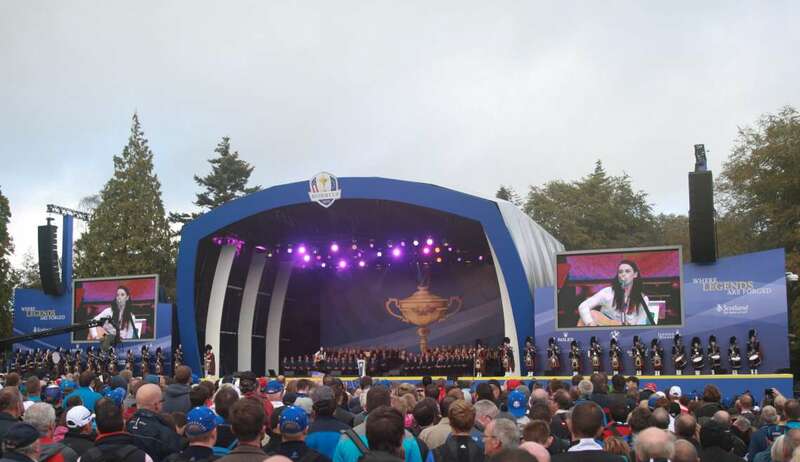 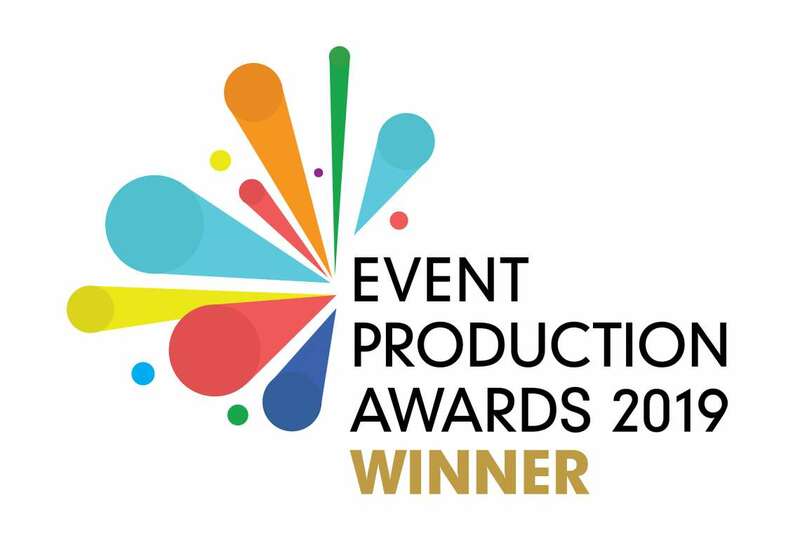 We supplied staging and ancillary structures to Proms In The Park, to accommodate the innovative screen rigging solution introduced this year. 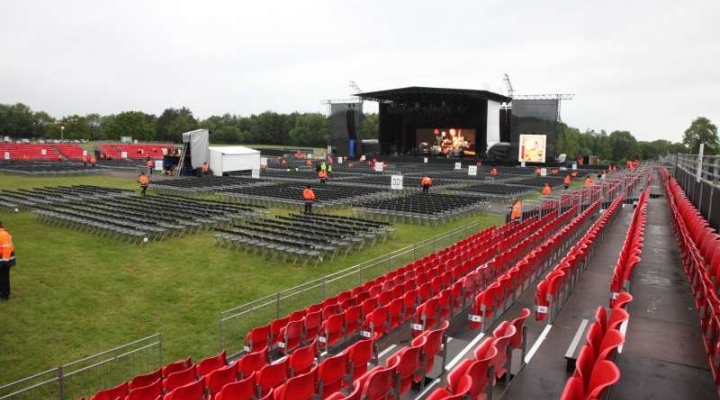 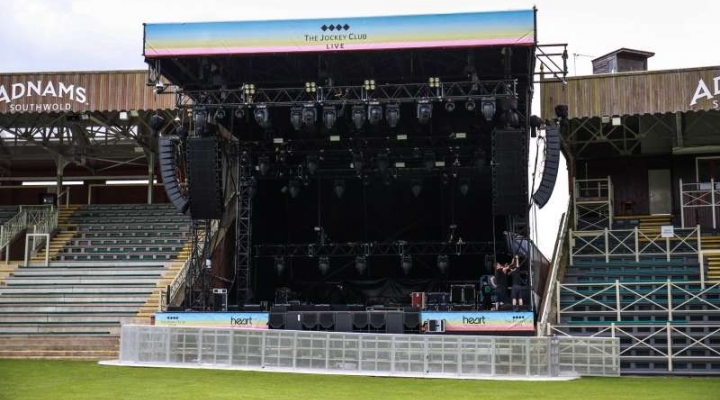 We hit the road with two of our staging systems to provide the staging for the outdoor venues of Elton John’s summer tour, which kicked off at the Kent County Showground. 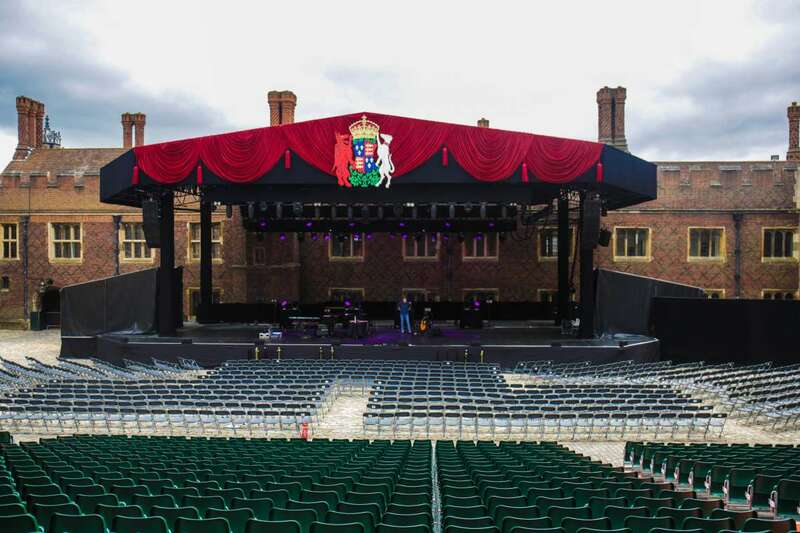 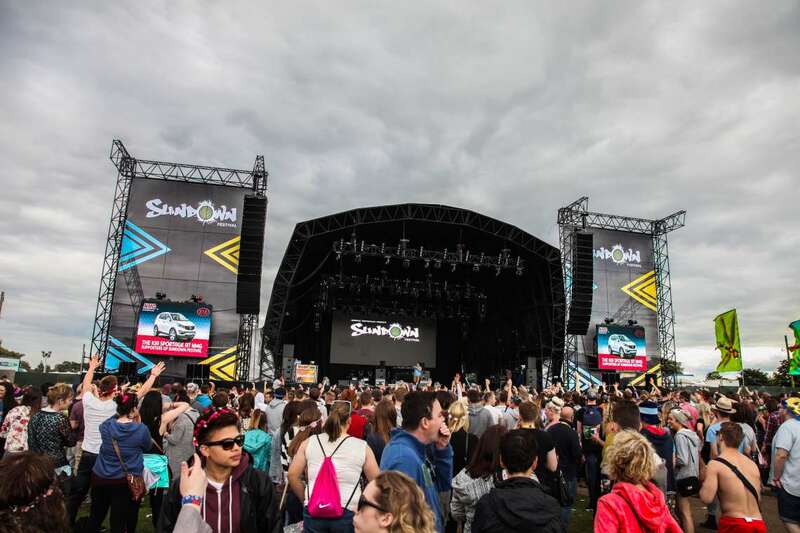 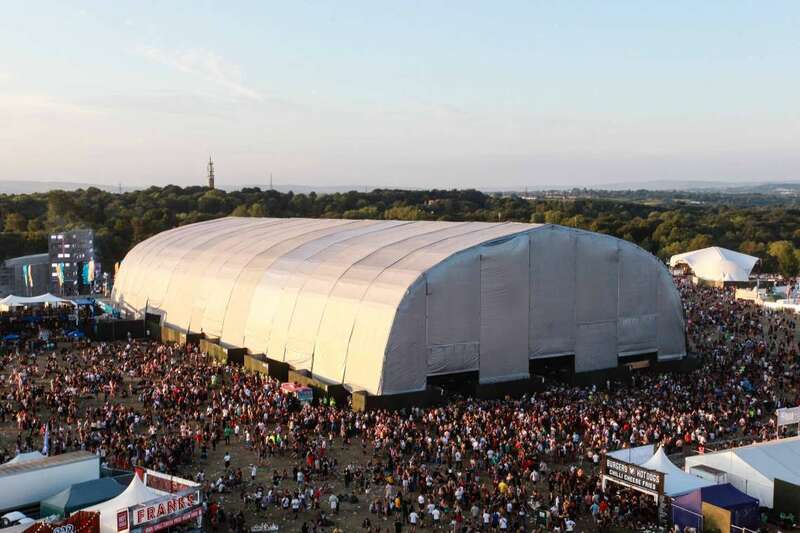 We provided the main Supernova roof stage with off-stage covered side-wings, PA and video screens as well as front of house tower, wheelchair and VIP viewing platforms. 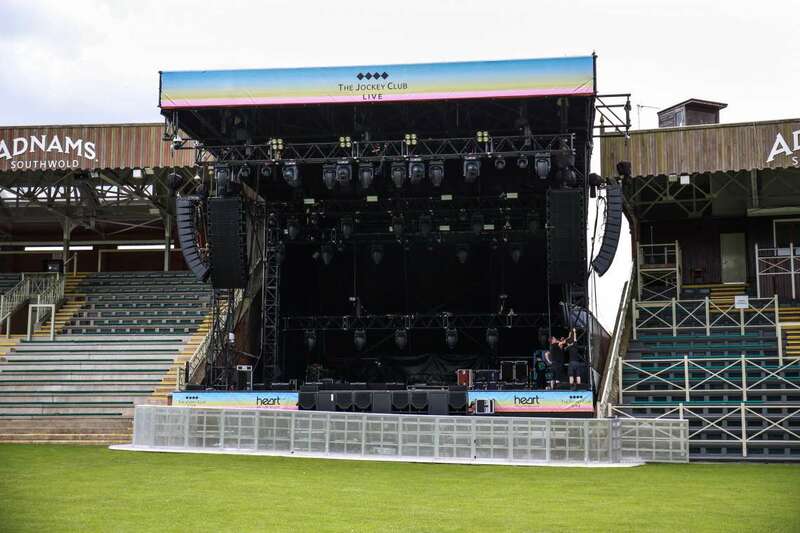 We installed our esteemed 19m Supernova stages for the Norfolk-based festival which is attended by over 20,000 music lovers each year. 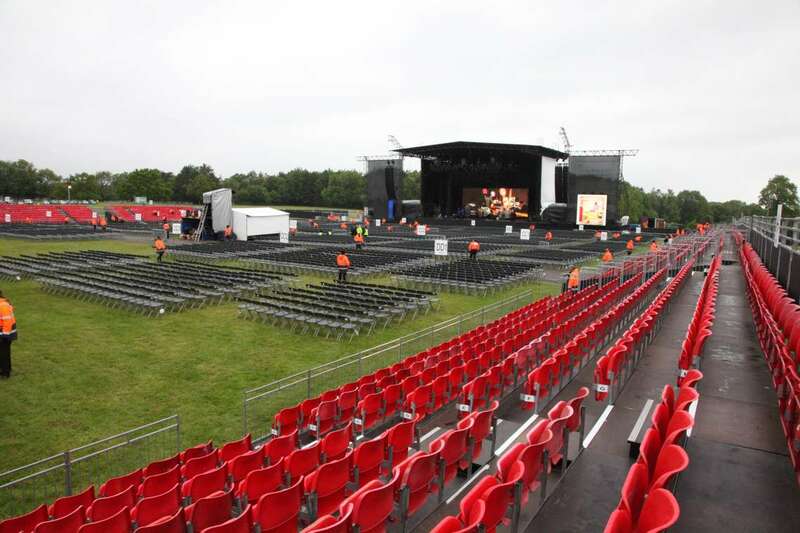 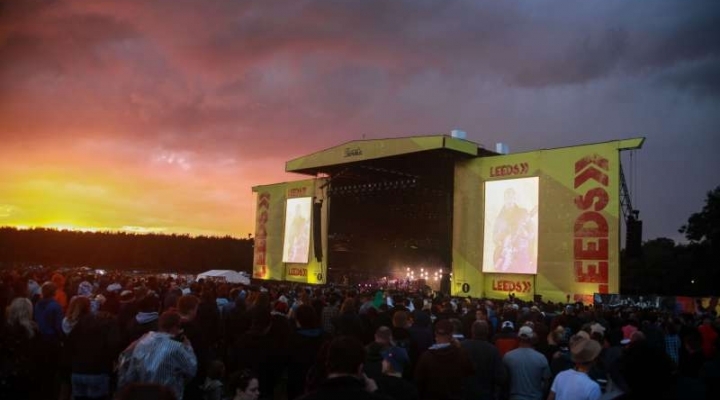 Identical staging and infrastructure was supplied across two sites, to ensure the bands had the same experience at both festivals. 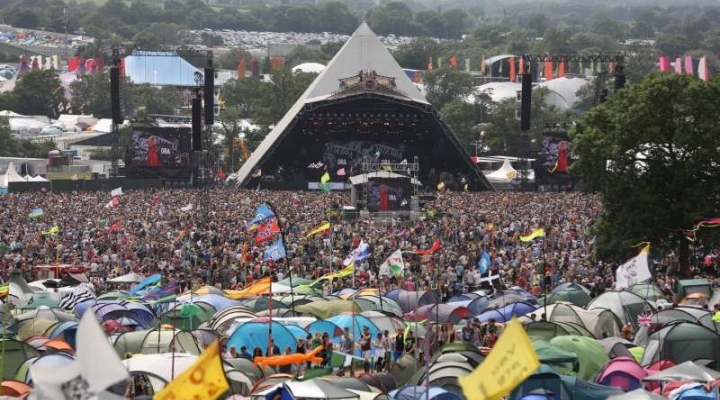 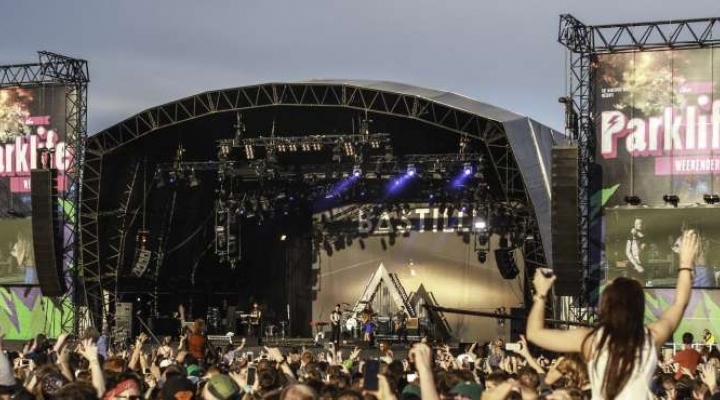 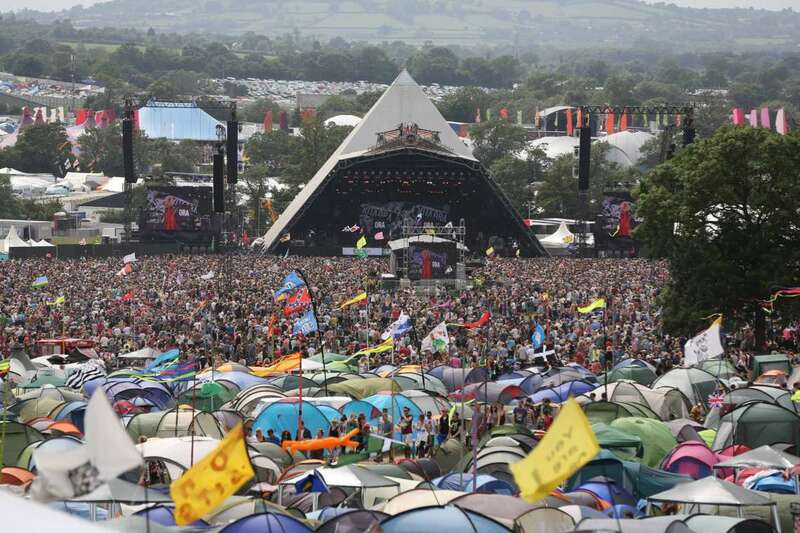 From the iconic Pyramid Stage to the Ribbon Tower, we also provide structural supports, viewing platforms and an array of bespoke creations. 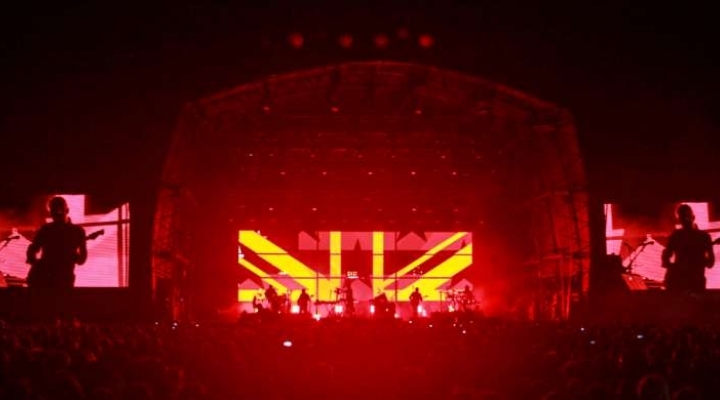 Working in collaboration with clients, designers and no-nonsense groups to create a distinctive custom designed 16m Warehouse stage.